The Government Finance Officers Association (GFOA) sought a new Smarter School Spending (SSS) platform to guide school districts to success. So that’s exactly what we gave them. In just 14 weeks, we transformed the underperforming SSS platform into an effective, nationally successful budgeting tool. In a climate wrought with decreasing budgets and rising expectations, GFOA faced steep challenges. The existing SSS didn’t fulfill its potential to boost student achievement. 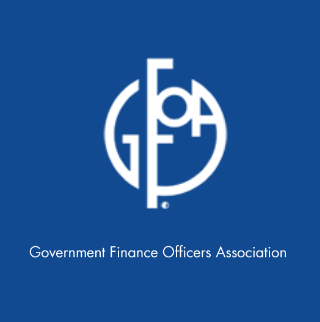 Here’s what we did for GFOA to help them achieve success. Our first goal was to clearly communicate the value of the SSS platform. Interested parties couldn’t follow the original roadmap. We redesigned the SSS platform to convey budgeting information in distinct, useful ways. The result: significantly more school districts joined SSS and employed the program. We led a digital transformation that raised nonprofit awareness and engagement. The original look of the SSS didn’t match the platform’s power. We established a bolder, more trustworthy appearance. Our visual changes imparted the extensive capabilities of SSS and boosted its overall value. Additionally, we delivered what GFOA users asked for: relatable examples. Our design brought sample cases to the forefront of the platform, giving districts easy access to invaluable resources. Our work presented the formerly confusing SSS roadmap in a clear, attainable way. Our comprehensible redesign opened the doors for school districts across the country. 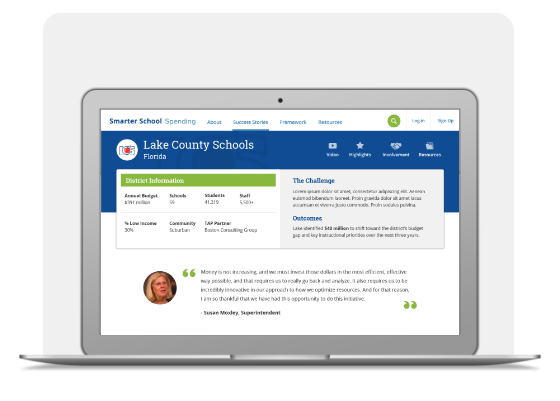 We put powerful, practical budgeting tools in the hands of school districts. The improved SSS helps GFOA users meet student achievement goals and improve entire educational systems. 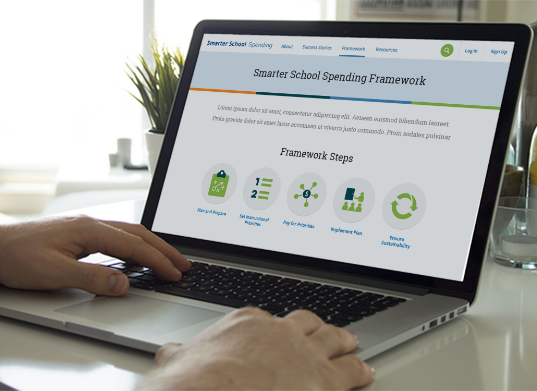 Our work showcases GFOA’s Smarter School Spending program in a bright, new light. The redesigned SSS site presents the extensive roadmap as an understandable, practical budgeting tool. Districts of all sizes now have the power to meet student achievement goals, improve their educational systems, and shape our future.